It is believed and said an e-commerce industry without sales is like a zoo without animals. A car show without any classic car models, cheese without wine, and Instagram without weird selfies.The biggest challenge that an e-commerce industry generally face is increasing traffic to their e-commerce store. Knowing where you can start and how you can stand out from the thousands of other shops are competing for the same amount of traffic is a daunting task. The explosion of growth in an e-commerce industry has made it tough enough for them attracting the masses in order to stay in the business.Given here are the seven strategies that will help your business grow online increasing traffic boosting up sales. Creating a sense of urgency: Being in an e-commerce industry, it is important that you be honest and transparent about who you are and what you are doing. There is no rule of creating a sense of urgency for the prospects to come and buy their products and services from you. Most consumers generally respond positively to the incentives creating a sense of urgency from time sensitive special offers to the limited edition products. Although the ways you can accomplish this can be done in a different manner, some strategies are considered to be more effective when compared to others. For example if you are not able to make a limited edition of all your products and services, you can then offer a financial incentive to customers who purchase things right away such as free shopping or discount. Cross selling your products and services: Cross selling is one of the most important objective of an e-commerce industry, and most have turned to be successful in doing it. For instance have you ever stood in a queue at supermarket deciding to take up their offer of a chocolate bar? This is one of the most common industry tactic encouraging customers spending more amount of money, and this works online too.In a below example amazon extended its warranties and instant services to customers who is viewing out their blue ray product page. From mobile ready to e-commerce optimized: According to a study conducted by IBM in the last week around, 26% of the online sales that are referred by affiliates were made from the mobile devices. Though having a responsive website is a good start, optimizing for a mobile e-commerce will require a more of proactive approach improving your website user’s experiences. Starting from the process of simple mobile payment, to the testing of design for your mobile checkout e-commerce optimization is now an ongoing process paying off your mobile adoption rates that continue to arise. Getting more Ad clicks and Ad Extensions: If you are selling a stuff online then ad extensions are no brainer, and this is a feature that is available in both AdWords and Bing. This allows you to make your ad look bigger with more places to click. This does not cost extra. Instead it increases your ads click through rate. Amazing thing right. 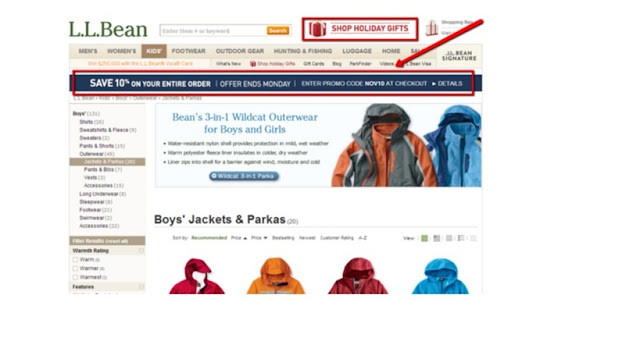 In the screenshot shown below the links given to Men’s sun glasses and Women’s sun glasses give people an opportunity of buying a new pair of Ray – Ban’s with two different places that they could click. This saves a step of the potential customer making it easier and fast enough to find out what they are trying to say, and visit your site directly instead of your competitors. Increasing exposure on social networking sites: The more and more impressions you get on the social networking sites, the more likely it is you will gain likes. One of the best ways to describe impressions on social networking sites is by embedding the social buttons within your site and marketing communications.Most blogs have social sharing buttons displayed there encouraging readers to share their blog. For instance below is a screenshot from an article shared by Shawn Grahamin fast company. Some of the places you can consider to place social buttons. 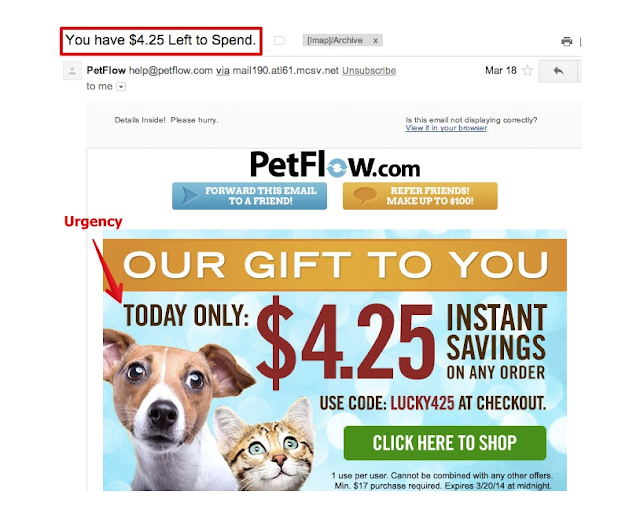 Giving some discounts to your customers: While the results of such kind of campaigns are unknown, I was impressed by a campaign sent out by pet flow. Providing customers with some specific discounts say $4.25 valid only for a few hours, they give customers a specific reason to take action quickly and immediately. 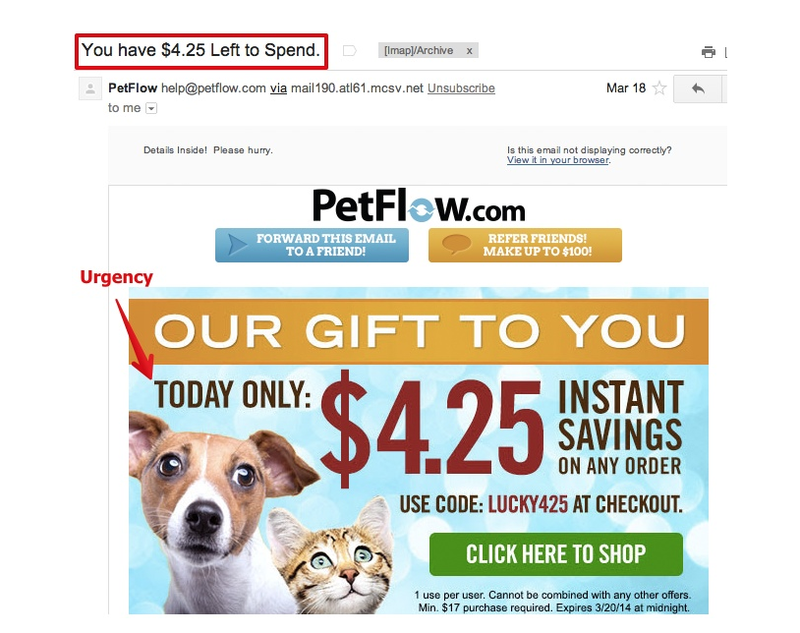 For a sites like Pet flow where the pet owners will always like need something, I imagine that this offer was incredibly successful. Can you find a similar tactic for your website? Turning your likes into leads with social contests: Running contests on the social media networking sites is generally considered to be one of the most rapid, affordable, and scalable tactics that can be used today. Most of us have never come across such thing when compared to capturing the email addresses and potential leads. Through one of our campaigns that we ran for a client last year, we managed to get 681 email addresses of the potential clients, out of which 75 signed up for their services with a total cost of $37. So if you have a large fan following on Facebook, Twitter or LinkedIn it might be worth enough of using a tool like wish pond or infusion soft gro social in order to turn some of your likes to permanent customers. At any point of time your business is either growing or stagnating. And in order to ensure that you are always growing, it is very important to understand what your customers need, experimenting with a technology that will help in improving the overall experience and process in which you do things. I hope that the post has given you all that you need and if you have tactics that are worth sharing please share those in the comments section below.